Custom Mercedes Sprinter Limousines Perfect For Any Event With No Hourly Minimums. 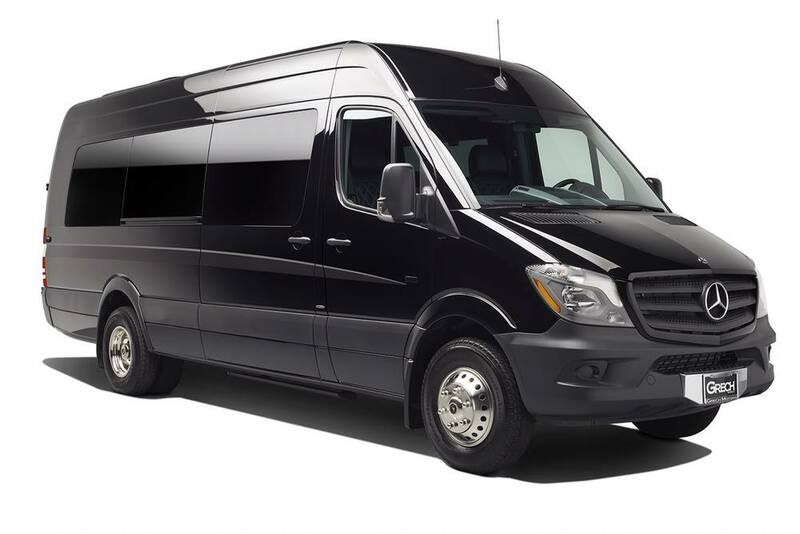 our 11 passenger mercedes sprinter limousine is perfect for moving groups in luxury and comfort. The Mercedes Sprinter is quickly becoming the hottest choice among VIP and celebrities as a subtle way to get around in the lap of luxury. It's also incredibly popular for Proms, Weddings, Wine Tours, Brew Tours, Sightseeing in NYC and any occasion where you need to transport a group in comfort, safety and style. Why pay for your Chauffeur to wait on site when you only need a ride to and from your event in our awesome Sprinter Limousine? Take advantage of our world class Mercedes Sprinter Limousine with NO minimum hourly wait times. call now at (732) 285-1048 for a free quote!